Bill Mikkelson, born in Neepawa in 1948, played junior with Brandon Wheat Kings and the junior Winnipeg Jets. In the NHL, he was with LA Kings, New York Islanders and Washington Capitals. 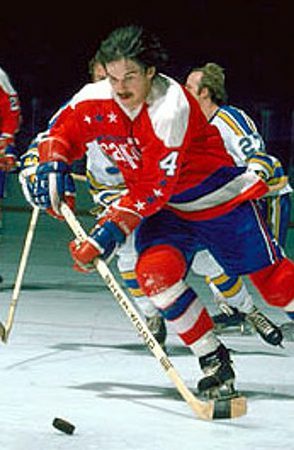 He also played part of seven AHL campaigns and was a member of champion Springfield Kings in 1970-71, his first pro season. A teammate on the Kings that season was another 2013 inductee, Ed Hoekstra. Bill retired at the age of 29. No doubt there is hockey blood in the Mikkelson family. Bill's uncle Jimmy McFadden was the NHL rookie of the year in 1948. Bill's son, Brendan, is an Anaheim draft choice and his daughter, Meaghan, just competed in the world championship with Team Canada.